After my post last Wednesday I finished Victoria Hislop's The Island and whilst it was readable and quite interesting in parts, there was nothing extraordinary about it and I felt the ending was a little rushed in comparison with the start of the book. 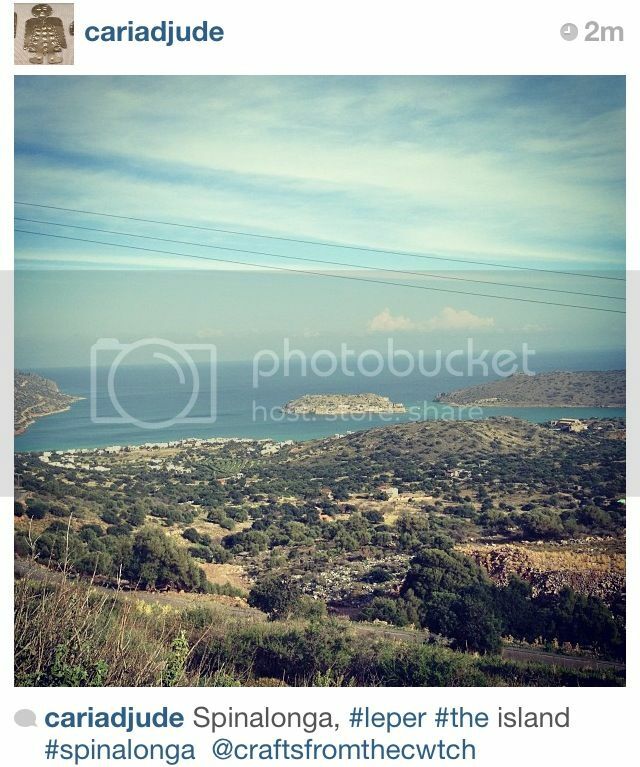 At the weekend the lovely Jude (Cariad in Crete) brought it to life with an Instagram photo of Spinalonga (the "island") and the coastline where the book is set - I would imagine that reading the book whilst there would be quite a different experience, and it's definitely a 'beach read' type of book. There is nothing particularly challenging about it and I didn't feel as empathetic as perhaps I should at certain points in the story. In short it's a hard luck tale with a bit of romance and family drama thrown in. Today's links are Tami's and Ginny's blogs where you'll find lots more knitting, crochet and books. I'll be back tomorrow for the penultimate Festive Gift Guide, and there is still time to enter the Giveaway! Your shawl is beautiful! I love the yarn you're using. I hope your daughter feels better quickly. Beautiful pattern and yarn! Granny Chic...I love it! my goodness, that shawl is beautiful. i can't wait to see how it looks all completed. your shawl looks gorgeous Sarah! 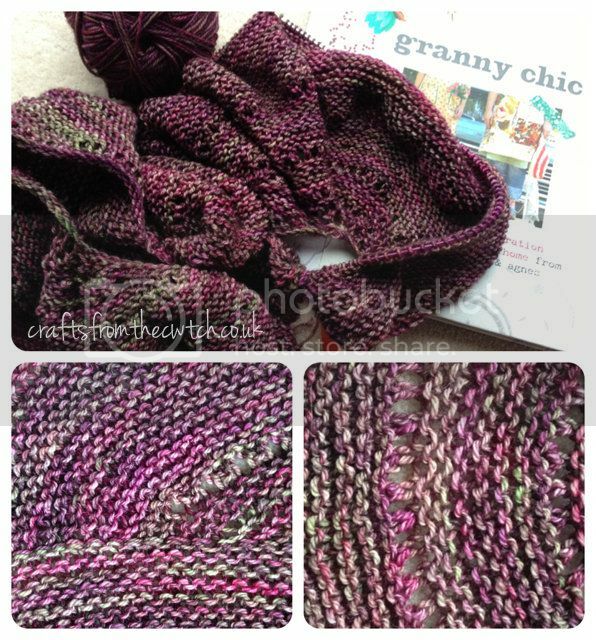 I'm going to have a look at that pattern, one skein patterns are the best! Oh no, :O( poor lil' princess. What a nasty, mean bug she's got. I hope she feels better soon. A friend of mine posted this interesting article about how ppl cut open an onion and put the pieces around the house or by the sick one so no one else gets sick. I love how that shawlette is one skein of sock yarn. I think I'll need to try that.